Somali women are often perceived as a homogenous social group perpetually living in destitution as victims of mutilation, sexual exploitation, famine, and war. Whilst we must not ignore atrocities committed against them, it is important to demonstrate that Somali women are not passive victims, and to not disregard a history replete with stories of extraordinary women. 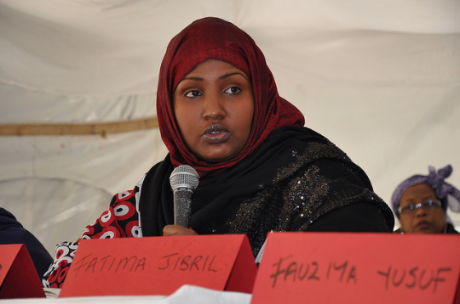 There is a lack of awareness of the remarkable Somali women who have refused to accept patriarchy, and who have fought for women’s rights to engage actively and equally as stakeholders in Somali society. The diversity of Somali women’s experiences within society — as politicians, teachers, activists, or working in businesses or international organizations — must be widely acknowledged in our understanding of the Somali region. Through the GENSOM project we hope to contribute to a more balanced, gendered understanding of the Somali region, past and present. The project will explore how Somali women have understood, accessed, and enacted power and influence from the colonial period up to today. Given the country’s turbulent modern history since independence and unification in 1960, tracking the evolution of these conceptualizations will be important. Read more at the HIPS website.